As Nike and Adidas concentrate their marketing efforts and product promotion on elite athletes and most recently the World Cup, Reebok has taken a different approach in continuing with its LIVE WITH FIRE campaign highlighting everyday athletes and weekend warriors. Reebok launched its LWF campaign a year ago to highlight the accomplishments of everyday athletes who share the passion of not just exercising to exercise, but to live their life with a kind of passion and fire that ignites within. Their marketing across a multitude of platforms expresses that ideal, and their newest product is set to give the weekend warrior a step up on the competition. Reebok’s LWF campaign has upped the intensity by releasing their new ZSeries footwear collection. By emulating the tire of some of the top sports cars, including the well-known Ferrari, they’ve produced a shoe aimed to allow runners without compromising speed, to turn on a dime just as the top sports cars in the world. In support of the ZSeries collection, Reebok commenced a multi-channel campaign by launching the television campaign “Race the City.” The campaign highlights athletes using the ZQUICK shoes racing and beating subway trains, and if you have to let your imagination run a little with that scenario, perhaps that’s the point. It’s all about fun and the freedom to push boundaries, and tapping into the best part of yourself. “We know that living a fitness lifestyle and living with fire can make people happier, healthier, and has a powerful social benefit as well. Your life ignites and that fire spreads to those around you,” O’Toole stated. It seems inline with the current goals to market toward this demographic considering Reebok’s recent partnerships with both CrossFit and Spartan Race. While Spartan Race does have its sights on the Olympics and CrossFit has annual championships, both stem from the weekend warrior as opposed to elite athletes. 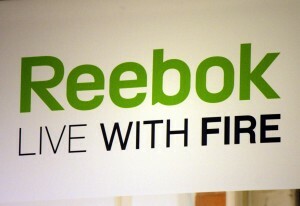 Teaming up with CrossFit in 2010, Reebok has aided in the swift rise of “boxes” — as CrossFit gyms are known — from 18 in 2005 to over 3,000 currently. Reebok, which has created exclusive CrossFit gear, also benefitted from a broadcast deal with ESPN to air the CrossFit championships annually. “Today, more than ever, people are making fitness a part of their life. 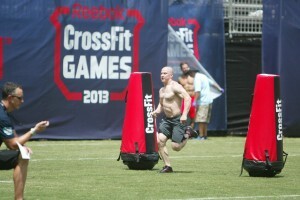 Reebok and CrossFit aim to stay at the forefront of this trend by promoting a more engaging brand of fitness. 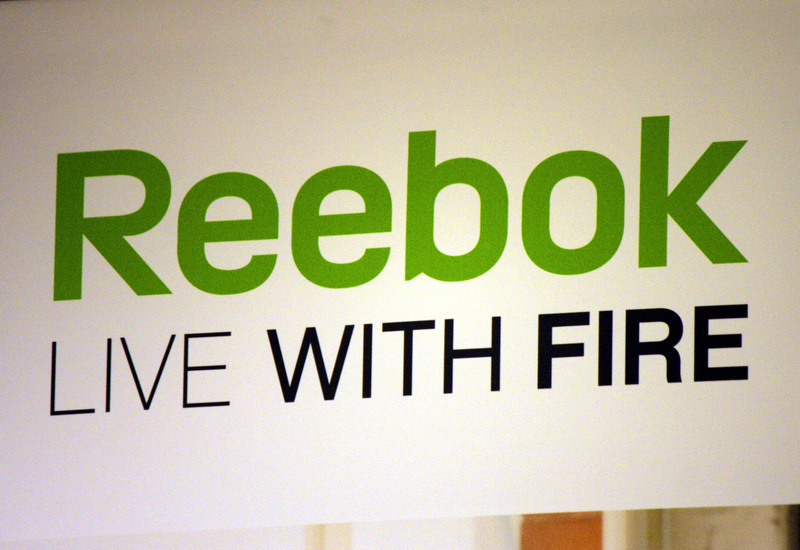 Together, Reebok and CrossFit will change fitness, and help make people physically, mentally and socially fit for life,” O’Toole stated in a 2012 press release. Not content with just the CrossFit connection, Reebok, again in the spirit of the weekend warrior, has teamed up with Spartan Race as well. With obstacle racing one of the fastest growing fitness trends and Spartan Race leading the pack, it was a natural partnership that was kicked off in style with a monumental obstacle race in Times Square last January. With the Spartan Race creators constantly innovating, and projecting Spartan Race to one day be a contender to be added to the Olympics, Reebok was a natural choice for partnership.